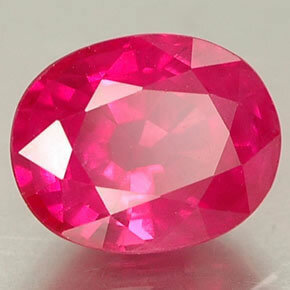 Ruby is one of the valuable and most demanding gemstones in the history of gemstones. 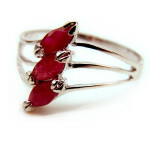 There is a string of stories attached with ruby gemstone which shows the importance of ruby gemstone. This gemstone belongs to the corundum family and it is an extremely hard gemstone. It is registered is the second hardest mineral after diamond. 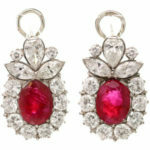 The exquisite red color of ruby exudes the class and elegance. Thus, it is being widely worn as a substitute of the diamond. 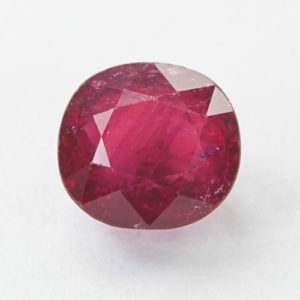 A natural ruby stone is rough and dull in appearance. And, in order to enhance its overall beauty, it is treated in different ways. Heating is also a method which is being used to improve the quality of the ruby stone. 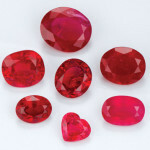 However, there are two types of ruby gemstones. 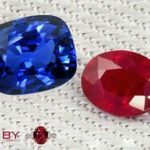 In this post, we would discuss the above mentioned two terms and try to underline the difference between heated and unheated rubies. Heated ruby gemstones are those stones which are being heated at high temperature to dispel the impurities from it. Besides this, a ruby stone is also heated with the intent of improving its color and luster of the stone. It is a useful process through which a high-quality ruby stone can be obtained. Notwithstanding, there are some disadvantages of implying heat on a ruby. Since a ruby is a naturally occurring gemstone and heating it on high temperature will disturb the originality of this stone. Heating a ruby can albeit improve or outshine its exterior appearance, but its actual properties will be lost or deteriorated. But, if this technique is exercised to cause it will prove auspicious, sadly, most of the time due to lack of expertise the natural qualities of ruby vanish because of excessive heating. Therefore, heating is not an appropriate option. Unheated ruby stone is natural ruby gemstones. By unheated rubies, we mean original rubies which are mined directly from different part of the world. Most of the rubies are enhanced in an attempt to make it replace unheated ruby stone by introducing heat treatment which upgrades the color and shine of the stone. Nonetheless, a heated ruby gemstone even after receiving artificial upliftment can’t compete with unheated rubies on quality parameters. An unheated ruby or Manik gemstone is extracted from famous mines. Unheated Burmese ruby and unheated Madagascar rubies are best in class. 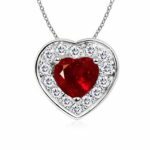 Sadly, nowadays 99% percent of ruby stone being heated to uplift its color and shine albeit, one thing which goes in favor of heated ruby gemstone that is it is affordable. 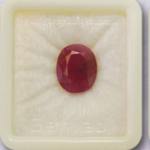 The price of the heated ruby gemstone is quite affordable which does not put much burden on your pocket. On the other hand, while buying unheated ruby gemstone you have to be ready to spend a lump sum amount since it is natural ruby stone.